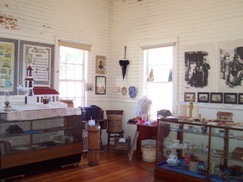 The exhibits preserve much of Clinton's history. They are great to get to know Minnesota's history in general, for a school project, or to appreciate our past. 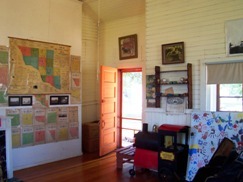 Clinton depot also has posters, newspapers, and historic relics from the town of Clinton. There are farm and agriculture displays and machinery. There are train memorabilia and artifacts. Also in the exhibits are pictures of our town and townspeople, artwork done by locals, and old books donated by families.